I begin by blocking out the vast majority of the terrain. I then focus on the underlying details, such as dense grass, paths, dirt, and major tress. For the final step of the visual presentation of the map, I fill in all of the remaining detail work. 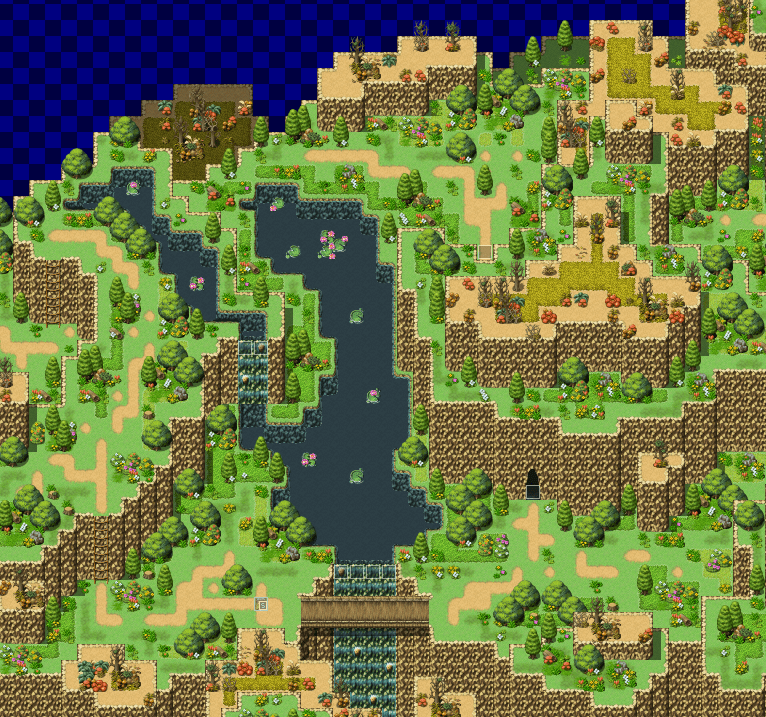 Here is where the map gets its final layer of flowers, bushes, and miscellaneous details such as stray grass. 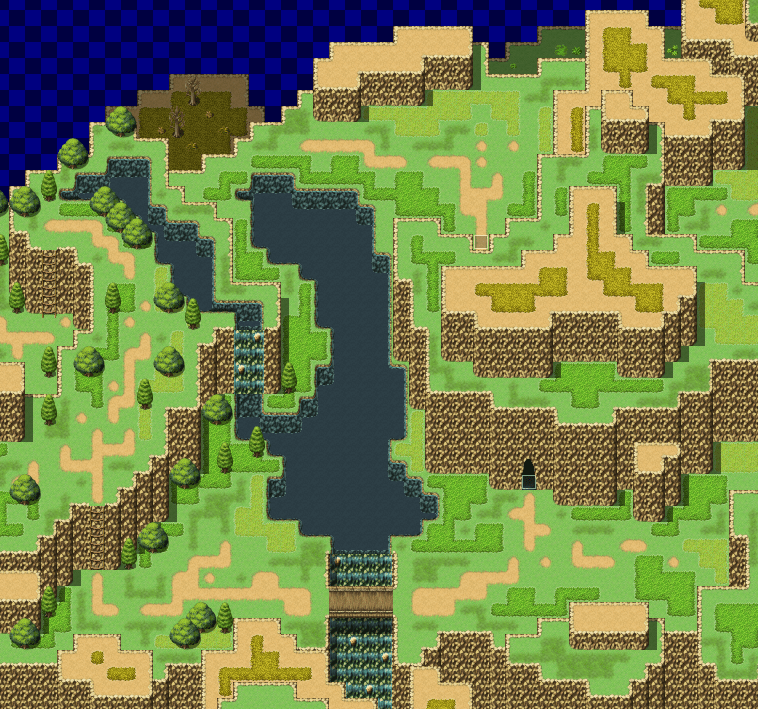 After the visuals of the map are completed, all that is left is to populate it with events. These usually include monsters (since I am not using random encounters in my game) and transfers (for the interior cave I have on this map). If this were a more story-centric locale, I would also include the necessary scripted events and scenes to play out on the map. 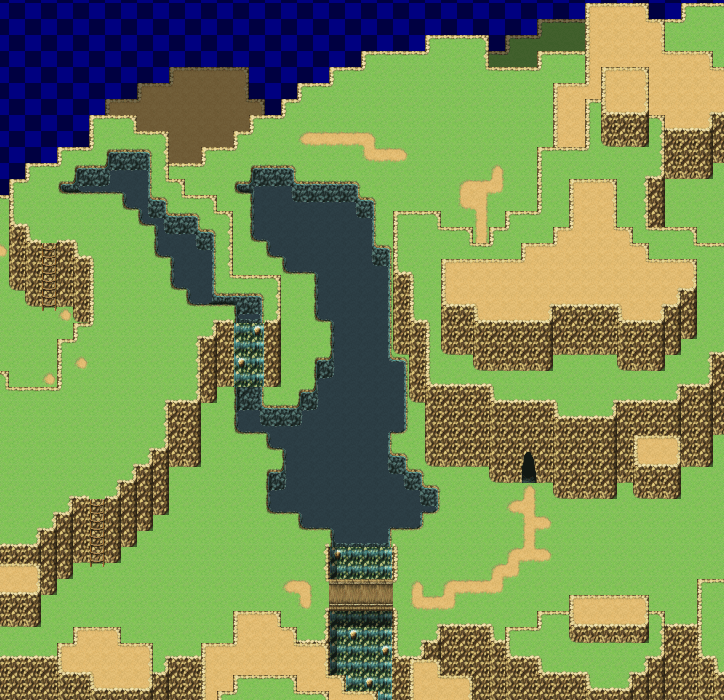 But since this location just serves as path to the next town, it is essentially complete at this point. Tagged Alma Pass, mapping. Bookmark the permalink.